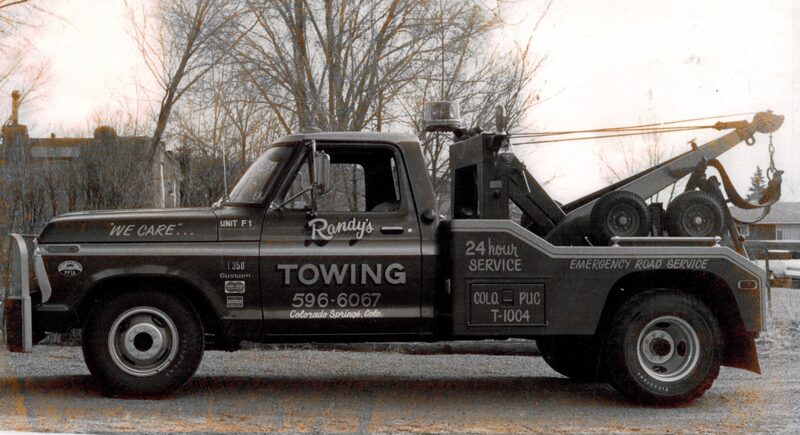 Randy’s High Country Towing opened on October 23rd, 1974. We started with 1 truck and 1 driver and now have over 45 peices of towing equipment and over 30 employees to better serve the people of Colorado Springs and surrounding areas. Randy’s Towing is at 1205 E. Las Vegas Street, Colorado Springs, CO 80903. Here we have an office and shop for our trucks on 17 acres of land. All of our business operations are done at this location. Our office hours are Monday thru Friday from 8:00 A.M to 5:00 P.M. We have dispatchers on-site 24 hours a day, 7 days a week including holidays to better serve our customers. Anytime our customers need us, we have dispatchers answering phones and drivers ready to tow.